Treat mom to a special experience this Mother's Day! 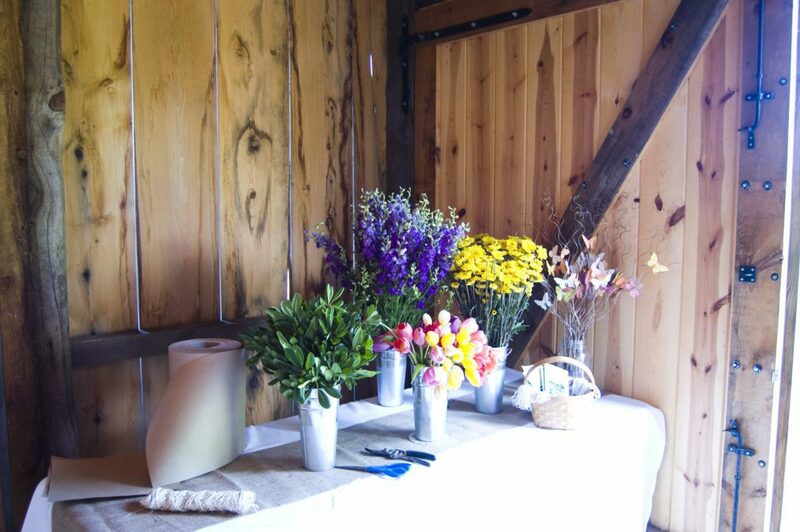 Enjoy a champagne brunch in our beautiful Events Barn. This catered brunch buffet will feature a delicious menu prepared by Cali's West Catering. And amazing desserts by Cambridge Sprinkles! Mimosas will be available for guests 21 years and older. After you eat, Build a Bouquet with your mom, using beautiful flowers from the Robin's Nest, and have your photo taken together for a wonderful keepsake. Take a stroll through our beautiful gardens to see what's in bloom for spring! Prints of your photos will be mailed to you following the event. Truly a special Mother's Day treat. Early Bird Pre-sale tickets for this special fundraiser event are $39 per person for members, $49 per person for nonmembers, and only 45 will be sold for each reservation option: 10 am Saturday the 11th, 1 pm Saturday the 11th, 10 am Sunday the 12th, 1 pm Sunday the 12th. Give Mom a gift that will last all year by rounding up with this special package deal and save $48: 2 tickets to Mother's Day Brunch and a Household Membership ($50 value) for $120. Reserve your tickets now, as prices will increase by $5 per ticket April 1, 2019! To allow time for ordering and catering, reservations must be made in advance, no later than Friday, April 26.